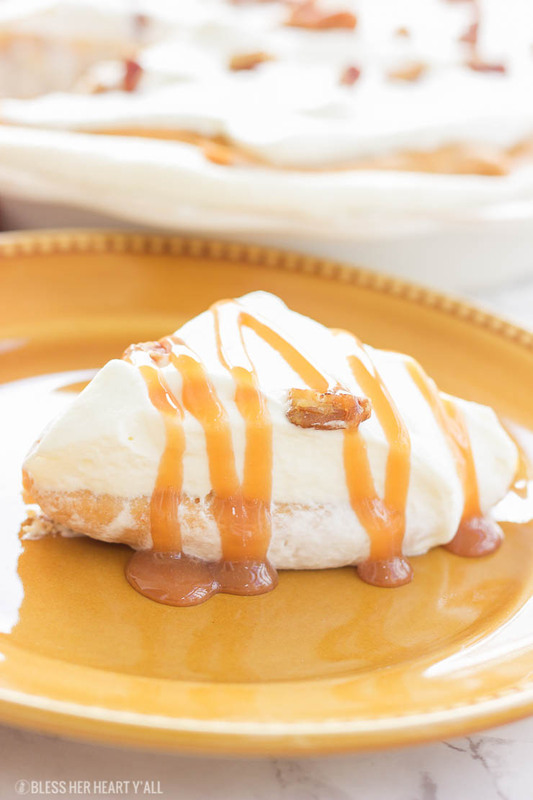 A smooth, sweet, pumpkin dessert that has a mousse-like texture with all the flavor of sweet pumpkin and cream. 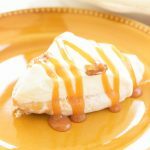 This gluten-free pumpkin mousse pie is an easy gluten-free option for all those pumpkin pie lovers this holiday season! You can’t go wrong with a crunchy layer, topped my a mousse-like layer, topped with a creamy layer! Hella yum! I’m gonna get right to it today. Thanksgiving is coming and it’s time to start thinking of what’s important here. The pumpkin pies! 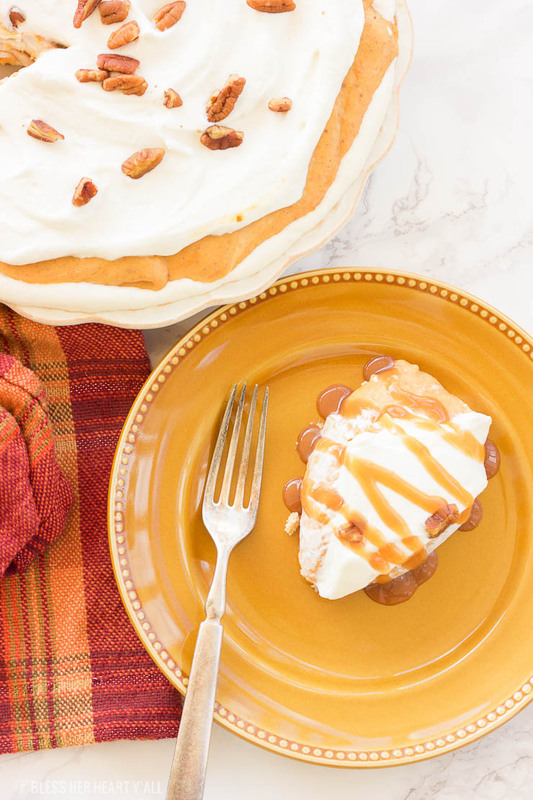 Over the last week or so, I have been shoveling out some yummy Thanksgiving-themed dishes to make a gluten-free Thanksgiving a little more exciting. I’d received a few messages asking about those pumpkin pies and I realized that I had not covered the sweets! So thank you to those who asked about this important part of the feast! I am not going to show you a pumpkin pie recipe. I’ve got something a little bit different for those of you who are looking for a gluten-free Thanksgiving dessert. Insert the gluten-free pumpkin mousse pie! 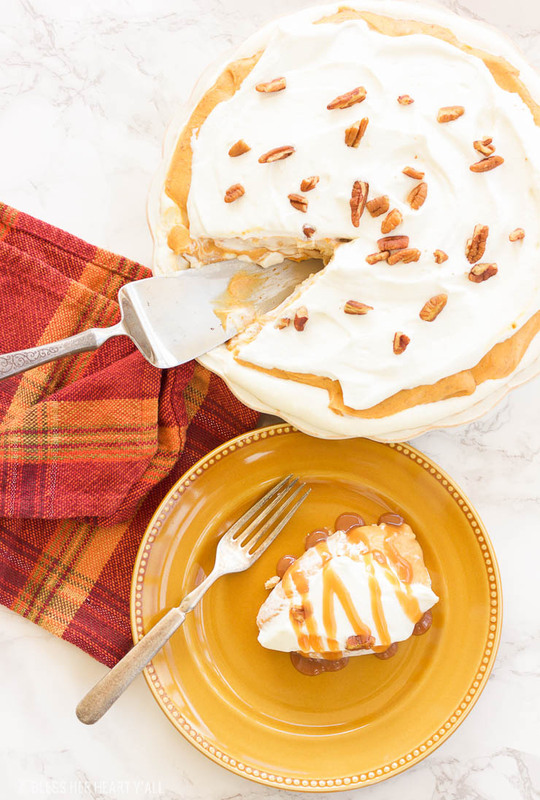 This pie has all the yummy qualities of a pumpkin pie, but it has a smooth almost mousse-like texture (hence it’s name! 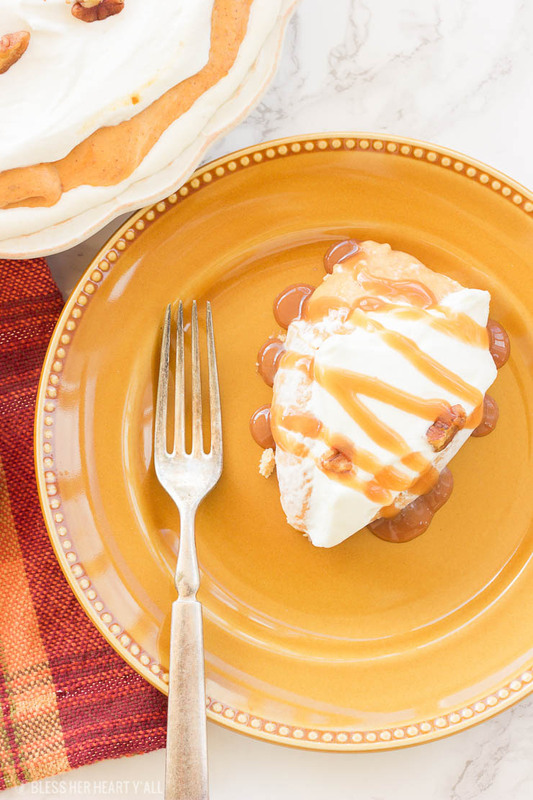 ), with layers of creaminess, pumpkin-ness, and whipped-ness. It’s also very easy to put together. The base crust layer is 3 ingredients and 15 minutes in the oven. The top layers are quickly mixed together and then placed in the refrigerator to chill. Then it’s ready for serving. It’s that easy! 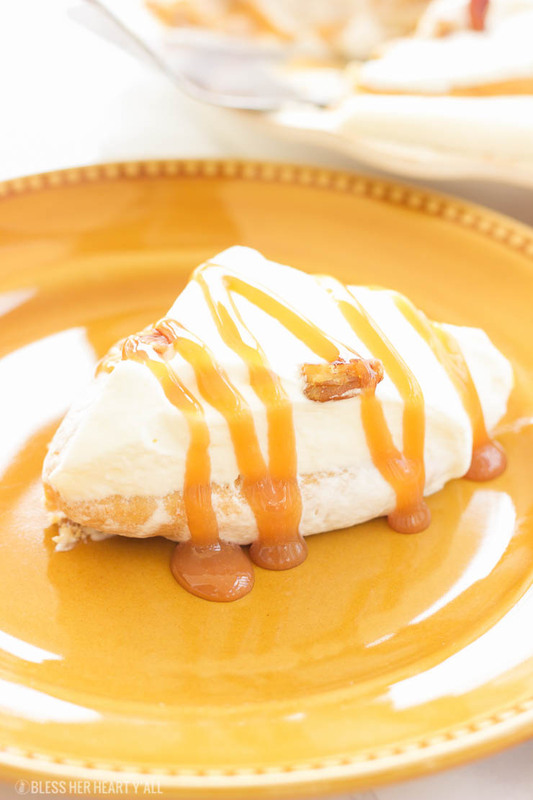 I decided to make the pecan halves on top of this dessert a little decadent and turned them into candied pecans. I brushed the pecan halves with a bit of melted butter and brown sugar and threw them in the oven for a few minutes, until the brown sugar melted. Then I quickly threw these hot bits on the pie and you can even see them melting into the layers and sliding around into all this sweetness. Yum! 13 oz . GF vanilla pudding I use 4 GF pudding cups! Preheat oven to 350*F. Lightly grease a pie baking dish. In a medium mixing bowl, combine the flour, butter, and chopped pecans and mix well. Place in the bottom of the baking dish and press firmly to make a crust. Bake for 15 minutes and set aside to cool completely. In a large mixing bowl, combine the cream cheese spread, confectioners sugar, and 1 cup whipped cream together until completely combined. Pour over the cooled crust and spread evenly. In the large mixing bowl, combine the pudding, pumpkin puree, and pumpkin spice together until completely combined. pour over the cream cheese layer, and spread evenly on top. 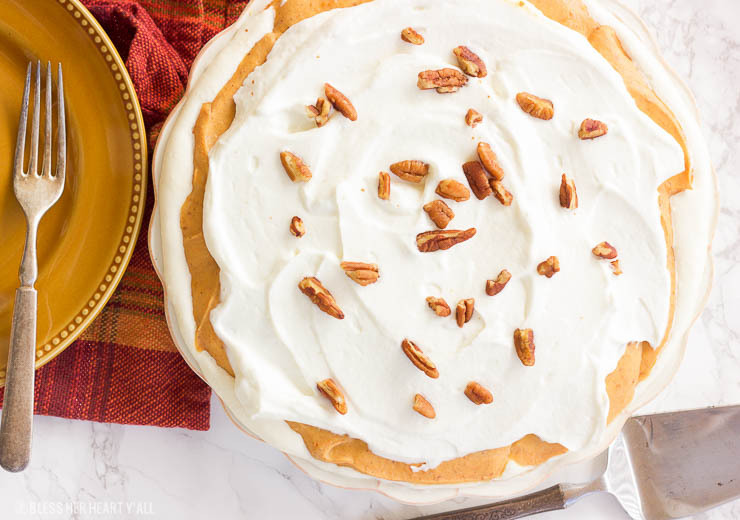 Top the pie with 1 cup of whipped cream and sprinkle with pecan halves and chill in the fridge for 3-4 hours and serve chilled! Enjoy it mesy! Thank you to those of you who sent me messages about pumpkin pies! Keep those messages coming in! Hit me up at: [email protected] (dot) com! wow so milky and creamy – looks great! Thanks! My hubby Alex isn’t a big pumpkin fan but he asks for this pie by name! 🙂 Makes me think that it’s got to be pretty good! Yes you can’t forget dessert! And this pie looks scrumptious.. I think gluten free or not everyone is going to love it! Yeah it’s a hit at the dinner table no matter the diet restriction! The crunchy pecans and smooth mousse together sound like such a great combination. I’m normally not a pumpkin pie fan but this looks amazing! The fact that is gluten free is huge because my cousin is gluten free and I always want to make foods she can enjoy too- thanks for sharing! It does taste really good, but has a lot of dairy in it! Big bummer! I am sure it is hard to find things for him to eat!